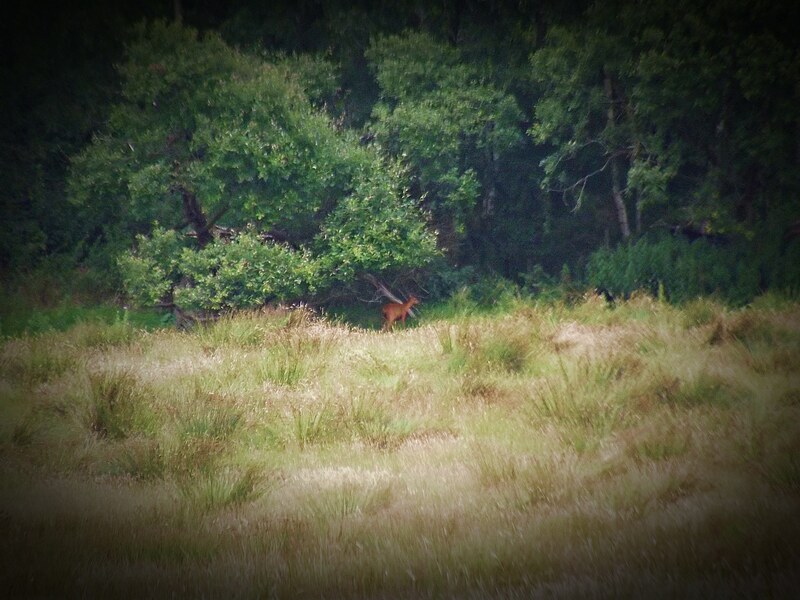 FWN took a ride up to Sheriffmuir and were delighted to spot four Roe Deer in the long grass, we quickly got out a camcorder and managed to film them as they made off and jumped the fence in the distance. Yesterday was a fine, sunny, Autumnal day so I took the opportunity to visit the Swan Pond. As I reported last week the swans had migrated and only the Ducks a few moorhens are there just now. Also some seagulls looking for easy meals from the local people bringing bread and corn seeds on there daily walks. As I approached the pond I always check out the far fields where the Herons usually sit. My binoculars panned to the far off wood and I was rewarded with a magnificent site of a Roe Deer feeding on the grass in front. As I looked I then realised there were three deer, I quickly got my camera and took a few photos, unfortunately my camera isn’t equipped with a powerful lens but at least I got some images. I changed to movie mode and I filmed them as they made their way into the Heron field. It was so thrilling to watch them albeit from afar. I took a bike run to the Swan Pond this morning to try out my new FUJIFILM FINEPIX 2980 that I bought a few days ago.It is a bridge camera so I wasn’t expecting it be a good as the camera I had been using, the FUJIFILM S9500. Colin had gave me this as he had upgraded to a beautiful NIKON camera, unfortunately I dropped it and it broke, so I was left with nothing to use. 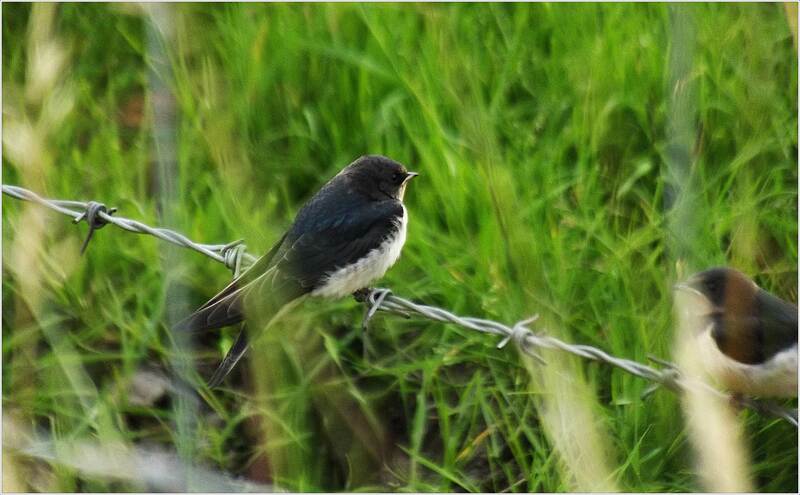 So I will do a full review of the S2980 later and give my opinion on it for FWN viewers to read.Anyway the pond was full of interesting birds and animals and I was well chuffed to get some shots of some Swallows (which I have been trying to get for some time). They were perched only a few feet from the hedge I was leaning against and as you see below, they are quite good. 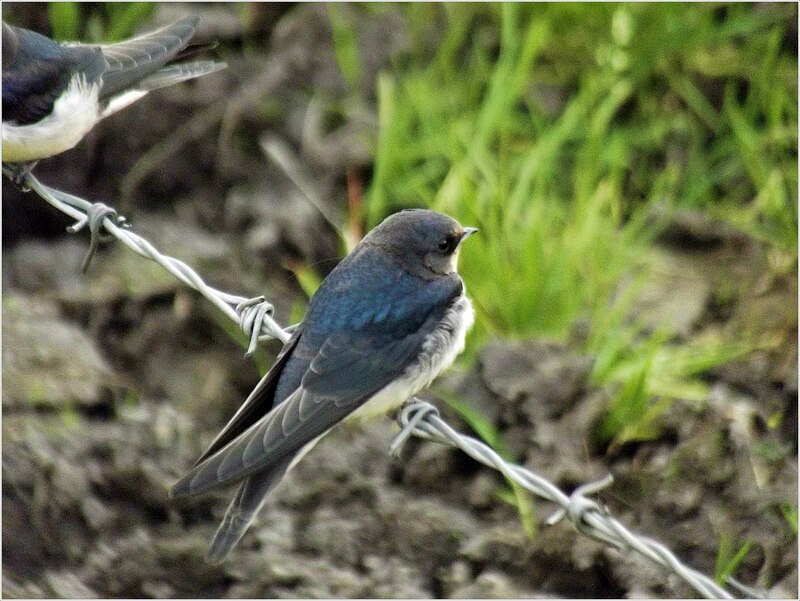 There were lots of Swallows about due to the hot weather and the abundance of flies around the fields and they were in full voice and inquisitive of what I was doing. I could hear a Buzzard above me and two Herons were in the far field, but it was to the far off wood which took my interest.Through the binoculars I spotted three Deer, two adults and a young one, nestling in the grass.Although they were far off I tried out the zoom on the S9800 and got a shot. Hopefully sometime soon I will try and get some closer shots of the Deer, the wood seems to have a lot of possibilities in getting some good nature photos.